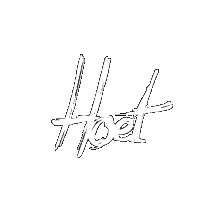 The Hoet brand is yet another articulation of impeccable Belgian design. After four years of research and development, the launch of ‘Made in Belgium’ 3D laser-printed titanium eyeglasses represents the pinnacle of bespoke eyewear. Clean lines and 7000 layers of geometric inlays achieve constructions unparalleled in their form and function. For each creation, the wearer’s features are precisely measured by our expert opticians, to ensure the delivery of a perfectly-fitting, custom product. Beyond anatomical specification, each piece is further customizable with diamond or gold inlays. The production is eco-friendly, and stands alone in terms of its innovative contributions to the world of eyewear craftsmanship. We invite you to discover the showpieces in store.